“Science is always political,” asserted a young delegate at an international conference on the history of physics earlier this month. It was a very enjoyable meeting, but I noticed the remark caused a stir among many of the physicists in the audience. In truth, the belief that the practice of science is never entirely free of politics has been a steady theme of historical scholarship for some years now, as can be confirmed by a glance at any scholarly journal on the history of science. At a conference specifically designed to encourage interaction between scientists, historians and sociologists of science, it was interesting to see a central tenet of modern scholarship openly questioned. Where does the idea come from? A classic example of the hypothesis can be found in the book Leviathan and the Air-Pump by Steven Shapin and Simon Schaffer. In this highly influential work, the authors considered the influence of the politics of the English civil war and the restoration on the famous debate between scientist Robert Boyle and philosopher Thomas Hobbesconcerning the role of experimentation in science. More recently, many American historians of science have suggested that much of the success of 20th century American science, from aeronautics to particle physics, was driven by the politics of the cold war. Similarly, there is little question that CERN, the famous inter-European particle physics laboratory at Geneva, was constructed to stem the brain-drain of European physicists to the United States after the second World War. CERN has proved itself many times over as an outstanding example of successful international scientific collaboration, although Ireland has yet to join. But do such examples imply that science is always influenced by politics? Some scientists and historians doubt this assertion. While one can see how a certain field or technology might be driven by national or international political concerns, the thesis seems less tenable when one considers basic research. In what way is the study of the expanding universe influenced by politics? Surely the study of the elementary particles is driven by scientific curiosity? It seems to me that this internally-driven aspect of scientific research is sometimes overlooked by historians and sociologists of science. By ignoring the technical aspects of a given field, scholars sometimes miss the fact that a development followed naturally from what went before. The progression is rarely linear, but it is not random either. In addition, it is difficult to definitively prove a link between politics and a given scientific advance – such assertions involve a certain amount of speculation. For example, it is interesting to note that many of the arguments in Leviathan have been seriously questioned, although these criticisms have not received the same attention as the book itself. That said, few could argue that research into climate science in the United States suffered many setbacks during the presidency of George W Bush, and a similar situation pertains now. But the findings of American climate science are no less valid than they were at other time and the international character of scientific enquiry ensures a certain objectivity and continuity of research. Put bluntly, there is no question that resistance to the findings of climate science is often politically motivated, but there is little evidence that climate science itself is political. Another factor concerns the difference between the development of a given field and the dawning of an entirely new field of scientific inquiry. 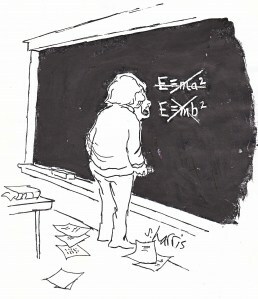 In a recent New York Times article titled “How politics shaped general relativity”, the American historian of science David Kaiser argued convincingly for the role played by national politics in the development of Einstein’s general theory of relativity in the United States. 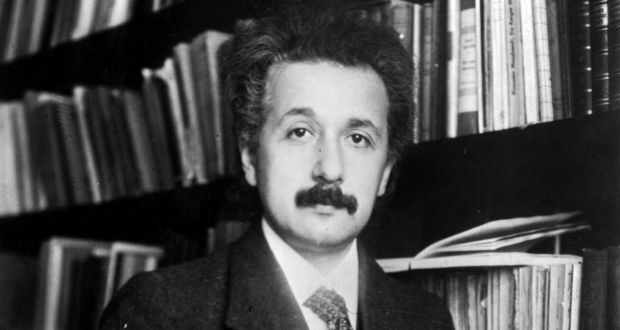 However, he did not argue that politics played a role in the original gestation of the theory – most scientists and historians would agree that Einstein’s quest was driven by scientific curiosity. All in all, I think there is a danger of overstating the influence of politics on science. While national and international politics have an impact on every aspect our lives, the innate drive of scientific progress should not be overlooked. Advances in science are generally propelled by the engine of internal logic, by observation, hypothesis and theory-testing. No one is immune from political upheaval, but science has a way of weeding out incorrect hypotheses over time. This article of mine was published in The Irish Times on Nov 29th 2018. I think you should steer clear of climate science, Cormac. It’s a can of worms. Anyway, you know your last line? Where you said “science has a way of weeding out incorrect hypotheses over time”. I’m afraid it isn’t true. Because science has its own internal politics. Hence GR today is an ersatz imitation of the real thing, and QFT is wrong and always has been.